Discover how to ensure your eLearning courses reach your learners instantly and look beautiful – whatever device they are using. From smartphones to desktop computers, find out why seamlessly optimized design is something you should be able to count on in your learning courses. How to spot the answer to that all-important question. What should you consider when selecting an HTML5 elearning authoring tool? You’ll reap the benefits – courses which aren’t responsive risk losing learners quickly. However imaginative your content is, it will only really shine if it’s easy on the eye. This section includes some of the pitfalls you should avoid. Allowing your learners to access their programs efficiently on any device and platform will make all the difference to the success of your elearning. You probably know that learning analytics is a hot topic: here’s how to use mobile learning tools and collect data to achieve results. By 2018, three-fifths of cloud usage will be cloud-based, and there are good reasons why it’s becoming so popular. Here’s a guide to some of the advantages. 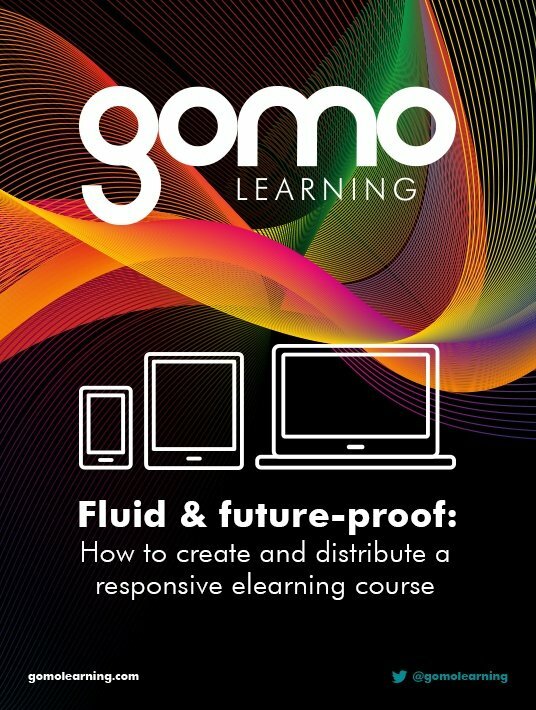 An award-winning authoring tool, gomo is full of handy, easy-to-use features which to help make responsive elearning design even easier for any learning designer and L&D professional. Responsive design is the future of elearning. No matter how your learners view your content, here’s how to ensure they will always find it easy to read. Everything you need to know about responsive design is in this eBook: from tell-tale signs that your online learners are ready to engage it to choosing the very best eLearning authoring tools to deploy your multi-platform friendly eLearning courses. If you are still wondering if and why responsive design is the future of eLearning, read on.